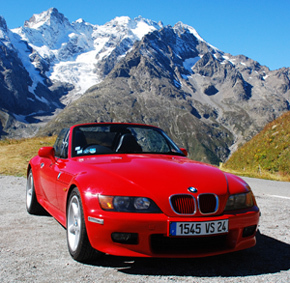 We want to know what you like about the BMW Direct eBay store, or if there is anything you feel is missing? As you are all BMW enthusiasts we would greatly appreciate hearing your opinion, to enable us to improve the store further. We also understand how sometimes it can be hard to find parts for older BMWs, so we wanted to ask you what you would like to see on the store? Whether it’s a hard to find part, or an accessory that you can’t seem to find anywhere, let us know and we can endeavour to make it available. You can also request items via the ‘Can’t find a product?’ form. Never heard of it - if I want OEM I go to my dealer - sorry. Don't buy off E bay, also first I heard of it. I get all my Alpina parts and merchandise from Sytner Alpina Nottingham. If this is a genuine BMW site offering why do they need ebay? Just have their own on line purchasing? Just went on there does not even have Alpina cars listed total WOFT. I have used the bmw direct site & yes it is genuine bmw with the normal 2 year warranty as they are a genuine dealer. I have had parts from them in the past with no problems at all & found them very helpful & what I did purchase from them was delivered very quickly. I would certainly use again in the future if my local dealer doesn't have what I need in stock at the time. Have been aware of it since near launch. While I would have no problem using it, it seems pointless as there are cheaper places (including BMW dealers!) to get OEM parts. If it's on eBay, every part should have the maximum permissable discount applied to it by default. I bought a trickle charger a few days ago from Sytner BMW - BMW Genuine Car Trickle Battery Charger Conditioner 3.6A 230V UK 61432334070 and got my club discount of 10%. This website is selling at £74 - I paid £66.61. And it was in stock. As Phil discovered, you can frequently buy fomr a local dealer for less than frm Ebay etc - but these days there are so many people who cannot imagine buying nayhting from anywhere else by Ebay! They are frequently bewildered when they find that Ebay vendors do not sell an obscure part, and often pay more to order on line from the USA than their local dealer would have done. When advised to buy rfom a dealer they seem to have never thought of such a thing. That's 'progress' I suppose. NO Mike-----Its possibly the reputation that the dealerships were the LAST place to consider buying spares from--due to Mega prices. I can see where JS is coming from Mike and in my opinion he is correct - BMWDirect as far as I have dealt with them are a little cheaper than their equivalent Franchise(s) and certainly cheaper than the Indies when you ask them to quote OEM parts or even an equivalent part. Please explain why does BMW need ebay? Why does it not just have its own web site where parts can be ordered on line? One of the big selling points for club membership was discounted parts from dealers hence I buy from my local dealer with 10-20% discount depending on the item. 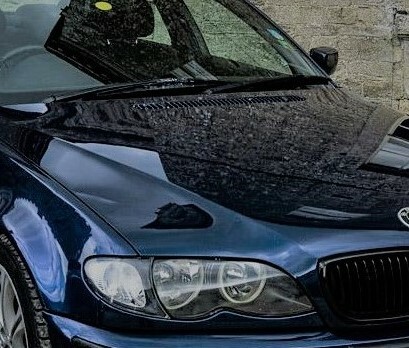 The BMW direct ebay service appears to sell at list price so it may offer a service to some customers but for me buying from my local dealer and getting a discount is far better. Club memberships biggest benefit is not discounts, its meeting new people and making new friend, priceless! Why is it when some people, in this instance BMW Direct, post a question they do not have the courtesy to respond!! May be the question was more to promote their store!! I would have thought a good starting point would be to first engage a rapport with your potential and prospective customers, offer a promotional discount and more long term a loyalty one!! Perhaps this is all to simple! I have used them before & didn't have a problem with their service. If I didn't find what I was looking for I either rang them or sent a message through their eBay system. I also did get a quick reply back through eBay message system when I made contact. I have used them, they were a lot cheaper than the likes of GFS & Eurocarparts. They are administered by Park Lane BMW, there is a lot not on the site but Park Lane helped me with the brake shoes. I've also used these http://www.schmiedmann.co.uk. I used them when I first purchased my BMW but now I have a good relationship with my local dealership I get things the same day or right away and either the same or cheaper price wise so I just go to my local dealer as I would rather them get the business keeping it local than Park Lane. Also helps my parents both take their Mini and X1 to the same dealership so we are as a family well looked after.